Here is a Hot Chicken of the Sea Coupon. 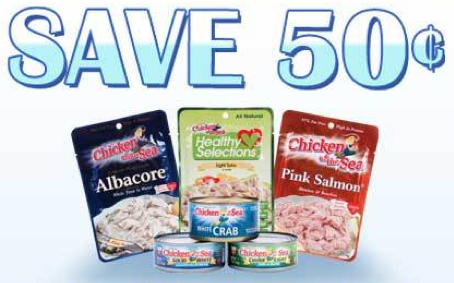 It’s for $0.50 off any Chicken of the Sea Item. You will have to “like” Chicken of the Sea on Facebook in order to print the coupon. The coupon is a SmartSource coupon and is limited to 50,000.